There is a reason that year after year people continue to consider, explore and schedule facelifts: They work wonders! However cosmetic plastic surgery is still surgery and requires thoughtful and realistic consideration. The concept of a “lunchtime facelift” is unrealistic. The advanced mini facelifts that Dr. Brent Smith performs are medical procedures that require manipulating skin tissue and muscle. 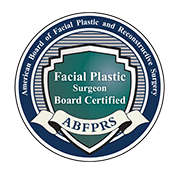 There’s no way around that reality if you want the natural-looking, long-term results that specialty facial plastic surgery doctors like Dr. Smith create. As professionals at Smith Cosmetic Surgery, we do everything in our power to describe the facelift recovery process and support people through each stage. Yet we find that patients are always surprised by some of the realities they encounter after a mini facelift. While our clients wouldn’t change the results they see six months later, they often have lots of questions for us during the first few weeks following the surgical procedure. So we thought we’d answer some of these common questions and set some helpful expectations so you come in prepared and ready to recover in a healthy and happy manner. First of all no one looks like their everyday self with a compression bandage wrapped around their head. However this is a necessary step directly following a facelift. After making incisions and manipulating muscles to help you look younger, Dr. Smith must help decrease initial swelling around the face by applying gentle pressure with a head wrap. Don’t worry, it will be removed the very next day, but prepare now because you’re not going to see the new you just yet. Just let the first 72 hours be what they are designed to be: a time to be good to yourself while you begin the powerful healing process. 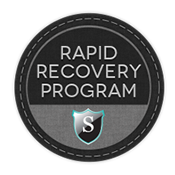 We ask patients to think about their recovery time in weeks as well as months. Your new, younger-looking facial features emerge in the first two to three weeks, but this is still the big push in your recovery process. Everything is more dramatic during the first few weeks, but the true beauty of your new look will continue to reveal itself over time. This is why Dr. Smith follows you closely over a period of 6 months to a year. In fact, you can look forward to seeing long-lasting refinements coming to light on the face for up to six months following a facelift—and beyond. So rather than looking at cosmetic surgery as a countdown to when you’ll be “restaurant ready”—about two to three weeks—think of your facelift as a multi-month journey. Healing will continue, and the true artistry of the facelift will be revealed slowly over many months following surgery. Real, raw emotions come along with any surgery. Whether you choose to have a surgical procedure to enhance your physical features or you are forced to have a medical procedure due to injury or an ailment, the emotions that come along for the ride are very real. We can promise you that everyone—men and women of all ages—experiences a predictable mix of natural emotions before and after a mini facelift. A facelift is a life-altering experience, ultimately for the good, but we must all expect that with any change in life come raw feelings (excitement, fear, doubt, confusion, joy, etc.). We just want you to know we’re here for you. Every day we help patients through each step of this emotional and joyous journey. Your mental state is deeply tied to each stage of physical healing. If you’ve ever had knee surgery, for example, your mental state ebbs and flows depending on how you’re doing each day. During the first 72 hours after a facelift most people look—and feel—like they just had surgery. Makes sense, right? However, as the bulk of swelling subsides within the first week and as we start to see the natural contours of our face emerge, a renewed sense of hope and excitement also emerges. After an initial and very normal post-surgery emotional dip, most patients see the pendulum swing back the other way by week two or three, when they start to recognize themselves and begin to imagine the full effects that will continue to emerge and come to light each day for the next several months. Our healing supplements will help you along. We can speed our bodies along the recovery trajectory by taking a smart mix of natural vitamins and antioxidants. Smith Cosmetic Surgery sends each patient home with a comprehensive one-month supplement supply designed to support healing, promote healthy immune system function and balance the natural inflammatory response. The line we’ve chosen and found to be most effective for our facelift patients is a clinical-grade supplement package. It contains all kinds of known recovery aids, including vitamin A and C to promote healing; selenium, bioflavonoids and other antioxidants to deactivate free-radicals; bromelain and quercetin to balance the inflammatory response; a B-complex morning formula for sustained energy levels; and a mineral-intensive evening formula to promote rest in the evening. Things that feel “tight” don’t look that way on the outside. One very common concern that mini facelift patients have is related to a perfectly natural feeling that can only be described as “tightness” around the lower portion of the face and neck. It’s often accompanied by minor numbness and even some soreness around the ears. The Smith Cosmetic Surgery team always prepares patients for this normal healing response, but it remains something that always surprises people recovering from a mini facelift. There’s very good reason patients should expect to feel some degree of tightness, numbness and soreness: Dr. Smith makes incisions in and around the ear in order to lift the muscles of the face. That’s the core surgical work in a facelift. As those tiny notches heal, natural contours appear and nerve endings reattach, you will experience a variety of normal healing sensations, from that predominant “tight” feeling to some fluttering vibrations as the body works to reconnect nerves around your new facial contours. We encourage patients to stay calm: All of this is internal. The tightness you feel, while very real, is happening on the inside, showing no outward “stretching” on the face. We all recover, but how we heal depends on age and genetic makeup. Dr. Smith performs facelifts exclusively on men and women in a variety of life stages. Patients come to Smith Cosmetic Surgery with all kinds of facial “imprints” related to the natural effects of aging; the distinct genetic factors they inherited from their parents; the consequences of different lifestyle choices such as smoking; and even varying degrees of exposure to sun and environmental toxins. That means when Dr. Smith operates, he’s always starting from a different origination point. So while we can all but guarantee Smith Cosmetic Surgery’s refined process and precise work, every person undergoing a facelift will experience slightly different results—and recovery time. Setting expectations for what’s achievable is a very important part of our work each day. While we are confident you will be amazed by your outcome, it’s important to remember we all start from a different, but no less beautiful, place. Each facelift healing process and outcome is as unique as each person. After decades in the art of helping people prepare, undergo and heal from mini facelifts, the results continue to astound. 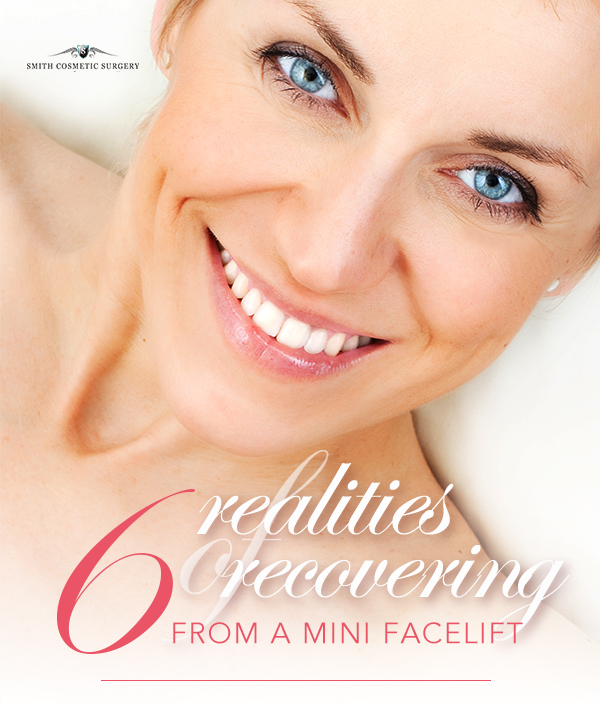 Ready to talk through the realities of getting a mini facelift? We will walk you through every step and support you, inside and out, on the journey to a beautiful new you. Is there a good age to have a cheek/neck lift?